Have you ever had to apologize for your noisy neighbors or loud people sitting around you at the cafe during a conference call? Well, it’s a common affair for me when I’m travelling to events or meetings, but there has been no way around the noise until date. Well, Krisp.ai has now stepped foot into the picture and promises to mute background noise during calls at the touch of a button. Sounds almost like sorcery, right? But, it really isn’t since AI systems (neural networks) have advanced to such levels that we can now eliminate background noise in real-time. Krisp is the first tool to do just that. Developed by the team at 2Hz.ai, Krisp is said to be powered by krispNet Deep Neural Network, which utilizes deep learning algorithms to isolate background noise around you from your voice – human speech in real-time. 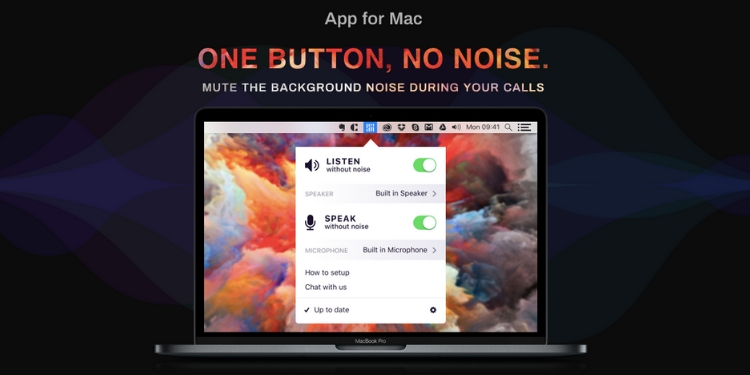 You simply need to install this tool on your Mac (PC version in the works) and it works flawlessly with some of the most popular conference calling apps because they’ll need to offer support for selecting the microphone in Audio Settings. 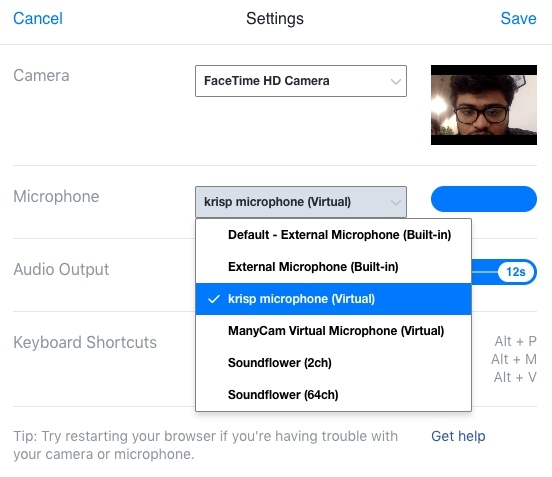 After you’ve begun a video or audio call, you will need to select Krisp Virtual mic and Krisp Virtual speaker as the input/ output source. Now coming to my experience, I decided to place a video call to my colleague Karthik on Facebook Messenger, who was quite annoyed with my tomfoolery, but hopped on to test Krisp when I told him what this tool was actually capable of. 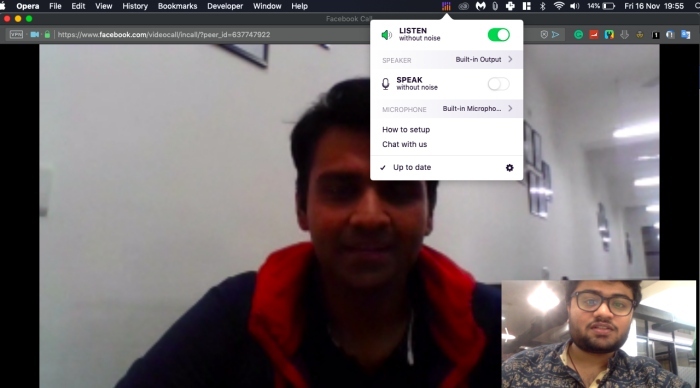 We tested out Krisp on my MacBook Air, so I asked Karthik to put on some music in the background during the video call. I was able to clearly hear him, as well as the music he was playing in the background, but I was surprised to hear almost no music once I flipped the ‘Listen without Noise’ switch from the Krisp menu. I was able to hear only fragments of the music during the call, and the background noise was virtually non-existent. When I flipped the ‘Speak without Noise’ toggle and Karthik literally freaked out when the music could no longer be heard in the background. So, we (as well as many Product Hunt users) can attest that Krisp works and very well at that. Further, if you are concerned about your data privacy, Krisp has reassured users saying that all of the AI processing happens on-device and none of the audio is uploaded to the company’s servers. This is also the reason that Krisp has high CPU and Memory usage, which improves over time. I know everything sounds good (no pun intended), but there’s one major catch. Krisp has currently been made available just on macOS for now and the Windows version of the app is said to be coming very soon. 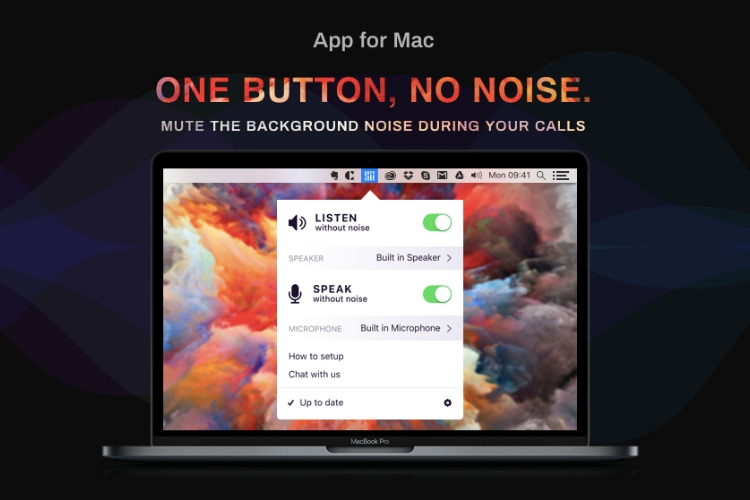 So, if you are a macOS user who’s constantly on the move and has to call your bosses or colleagues from noisy locations, then Krisp is the perfect tool for you.